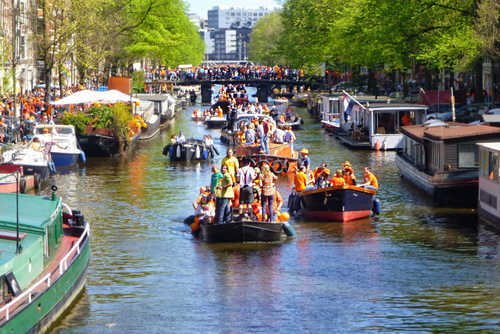 Amsterdam is steeped in history and is evident at every turn; the architecture, transport and the winding city streets are all reminiscent of an earlier time. 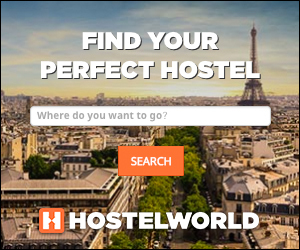 There are lots of different hostels available and our guide will help you to choose the perfect place to stay. 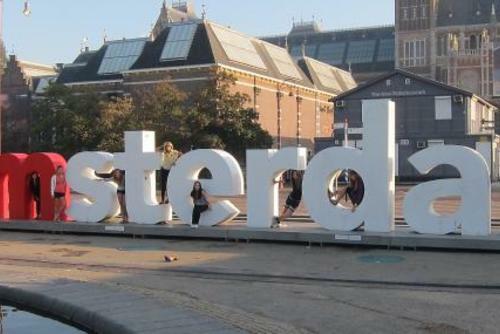 Amsterdam is a world famous city with millions of tourists visiting every year. 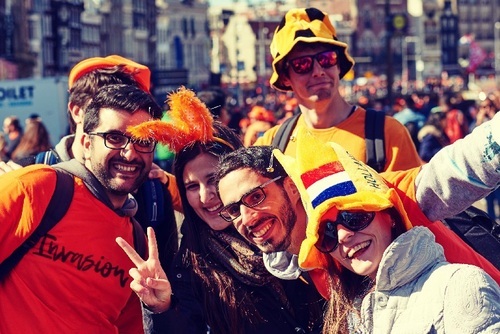 There are so many hostels in Amsterdam and each one is different in terms of price, location, facilities, atmopshere and reviews. Before making a booking you will need to decide what you are looking for for example are you seeking a social/party hostel? Do you want somewhere very cheap? 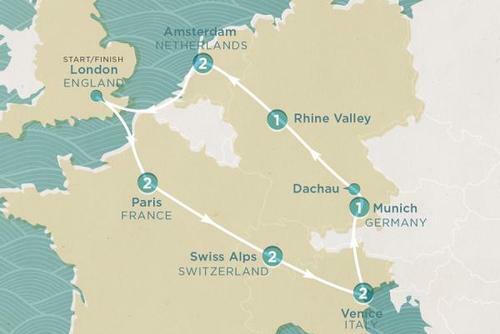 Travelling solo or as a couple? Open to a dorm or want a little more privacy? Narrowing this down will help you to choose a perfect place to stay. 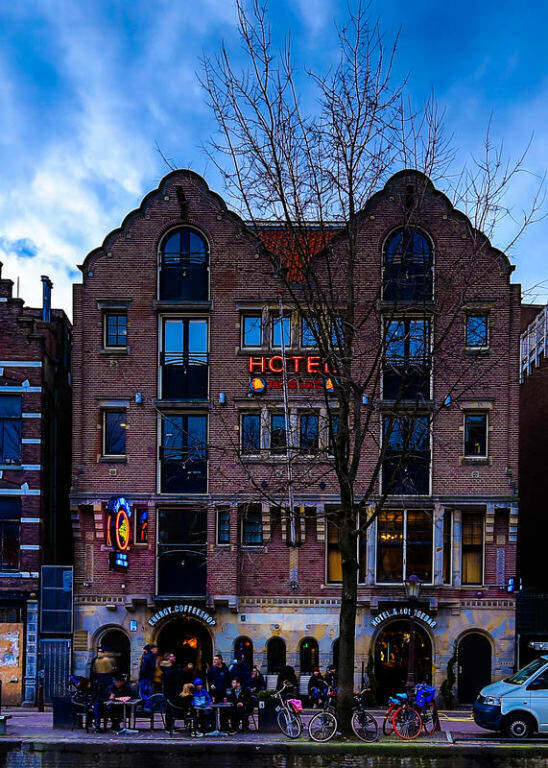 This is one of the best hostels in Europe and a favourite amongst backpackers who have been to Amsterdam. There are three Flying Pig hostels in Amsterdam to choose from in the north, south and also a new beach location. Staff are very friendly and have lots of advice for things to see and do in the city. 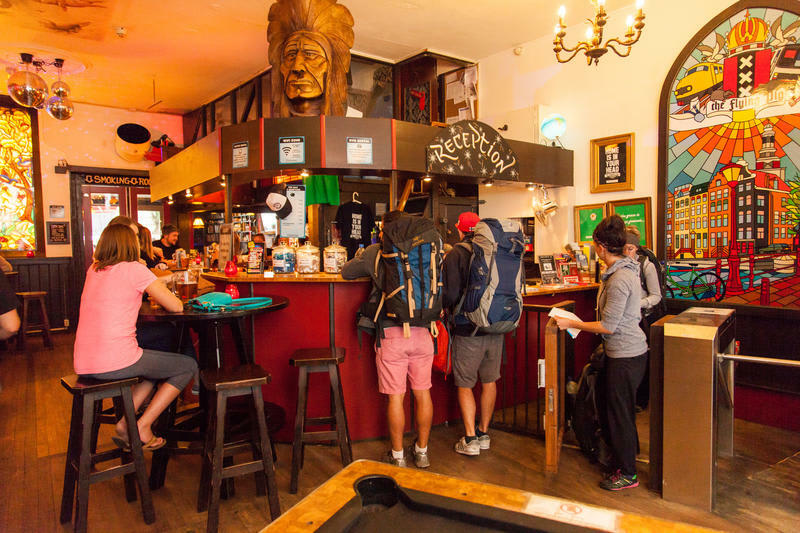 Prices aren't the cheapest but the vibe of the hostel is great and the bar areas are very social. 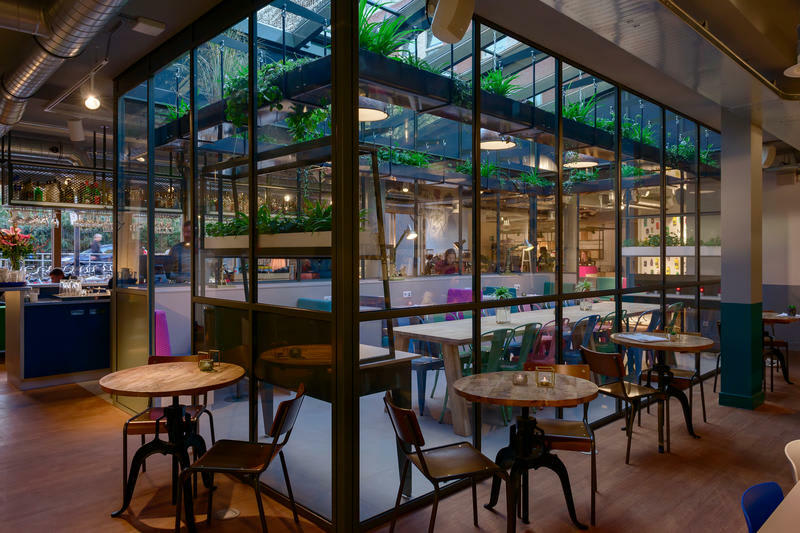 Ecomama is located very cose to the famous Waterlooplein flea market, and moments away from popular tourist sights like the Jewish Museum. 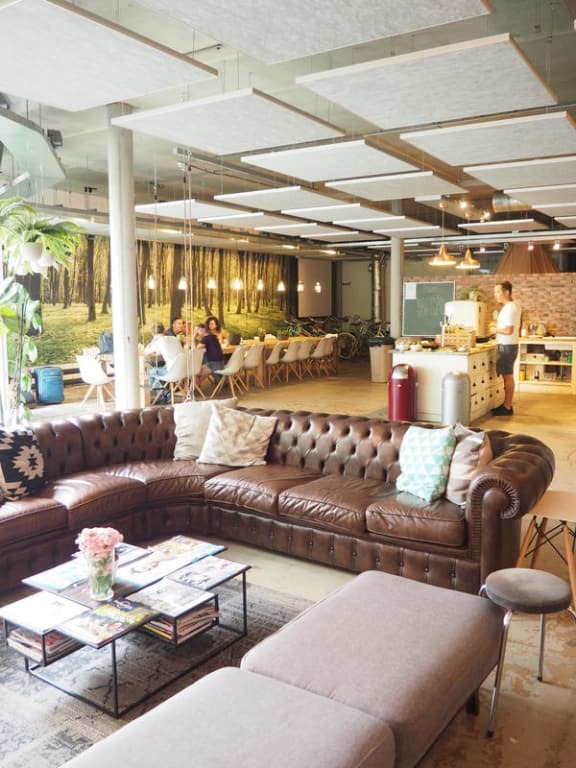 This is a super modern and styish hostel with a relaxed feel. There are large social spaces to meet other travellers or just kick back and unwind after a hards day exploring Amsterdam. The Bulldog is a great place to stay in central Amsterdam with friendly staff. 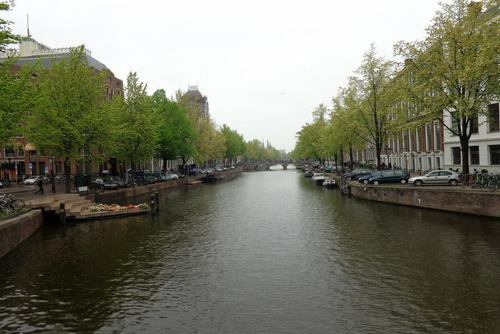 You can't beat the location which is right in the middle of the Red Light District meaning you can walk everywhere. There is also a bar and one of the oldest coffee shops in the whole city. Stayokay Amsterdam Vondelpark is a special hostel with an amazing design and layout overlooking the scenic Vondelpark. 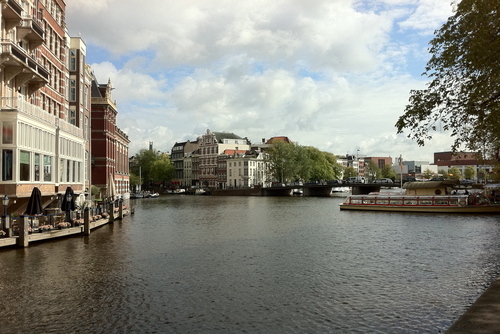 The hostel is located near the Van Gogh Museum, the Rijksmuseum and the bars and restraurants of Leidseplein. 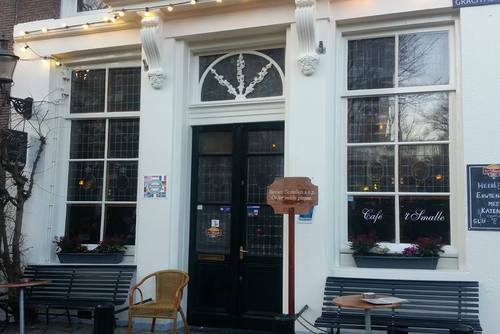 This hostel is a great place to stay for a relaxing break in Amsertdam and there are good transport connections to the rest of the city Be sure to try the breakfast which judging by the reviews is very tasty. It’s a good idea to work out exactly what you want from the trip, and that way you can pick accommodation suited to your needs. 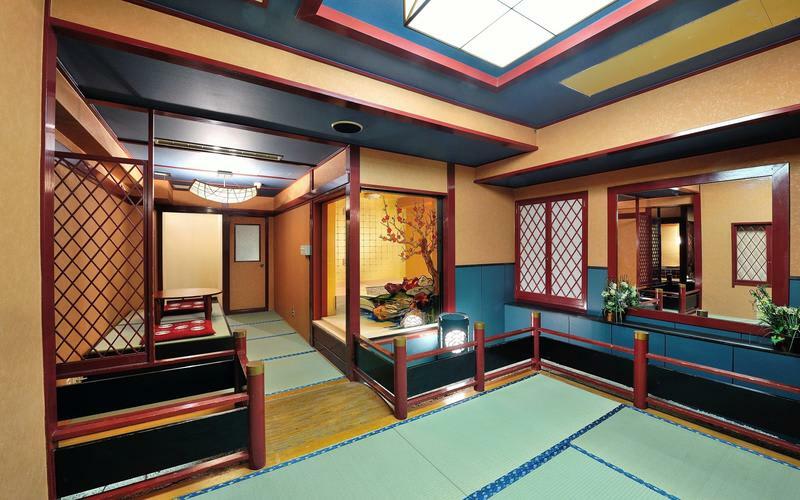 Hostels are reasonably priced and of a good standard, and are usually located fairly centrally. No matter where you stay in Amersterdam there are good transport links. Trams are a common mode of transport here, with routes linking all areas of the city. 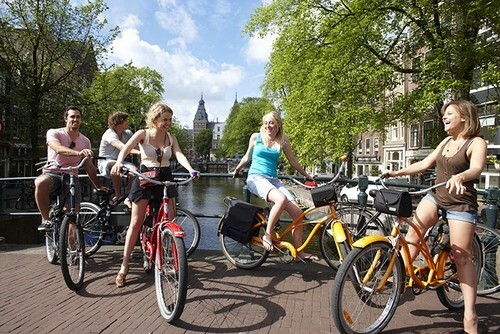 Cycling is also very popular; you can hire a bike to avoid the congested roads, and it’s a familiar sight to see hundreds of bicycles chained to any available railing outside hostels. If you have been to stay at an incredible hostel in Amsterdam contact us or leave a comment to say why it should be included in our list. 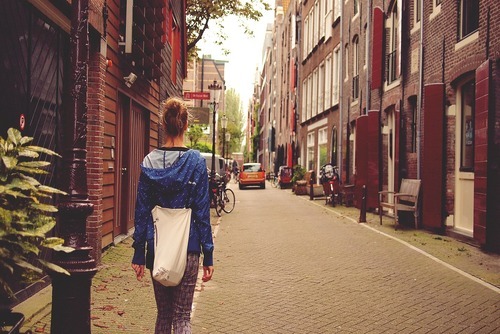 If you represent a hostel in Amsterdam and would like to be featured here please contact us.